Although the majority of High Ropes Elements only have one participant in the air at a time, all High Ropes Elements remain a team endeavor. There are plenty of opportunities for High Ropes Team Building. While each climber ascends the course, the remainder of their team plays a vital role in their safety system by holding the rope that keeps the climber secure. As part of the safety team, the rest of the group also provides advice and encouragement to the climber. 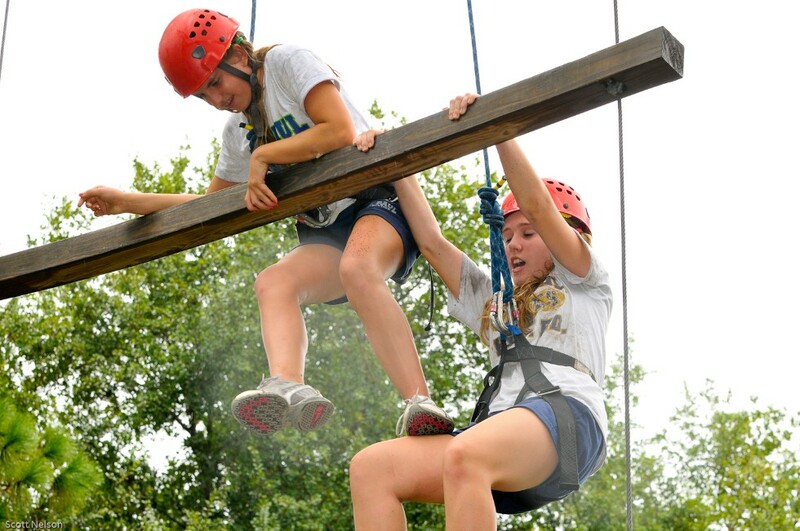 It goes without saying that High Ropes Elements are the ultimate opportunity for a group to build trust and strengthen connections. In many cases, a shared ascent up the Duo Dangle or a shared word of encouragement before an attempt at the Leap of Faith can provide the cornerstone for a new relationship. Just as often an act of sympathy or support can restore an old relationship. 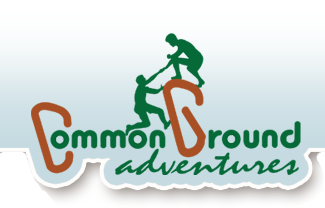 Visit the Youth Team Building Programs page or our Corporate Team Building Programs page for more information about how we can blend High Ropes Adventure, Low Challenge Obstacles, and Portable Initiatives into an amazing Team Building program for your group. For a pricing estimate for your Team Building Program, please fill out our Program Pricing Request Form online. Thank you for a great day!! I had great compliments from the teachers here and the students certainly had a valuable and rewarding experience!